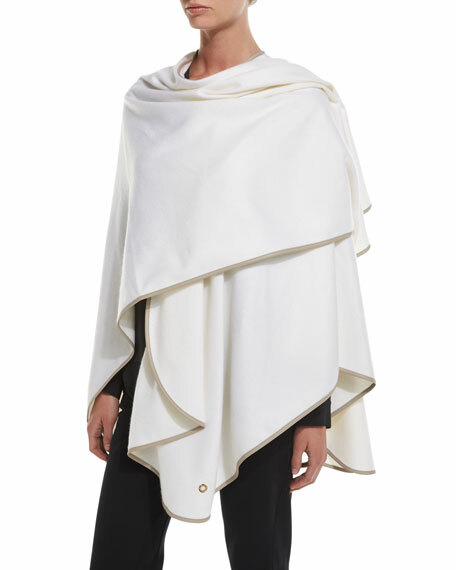 Loro Piana "Regina" shawl/cape in cashmere jersey, warm and versatile. Signature grommet detail at corner. 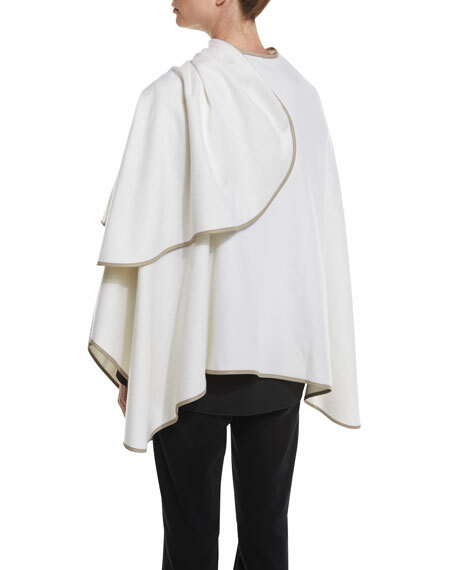 For in-store inquiries, use sku #1788845.